Identify times of peak bandwidth utilization to monitor performance. From the Network Extender Admin, click About (on the left). 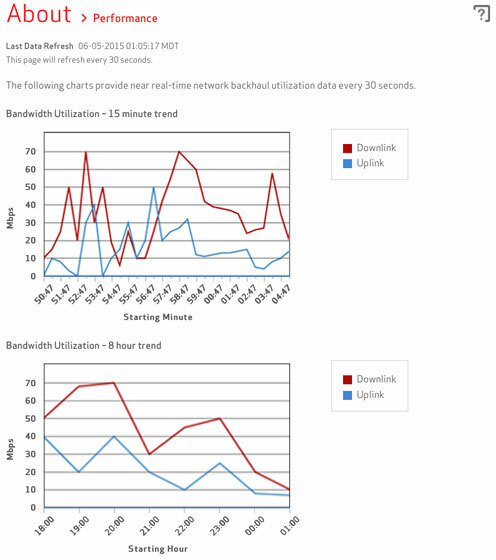 Bandwidth Utilization - 8 hour trend.